Austin unlocks the fun hidden deeply in your teenaged soul, suppressed by years of schooling and working. If you have 10 dollars and a free hour, read this book. Such an easy way to get a new perspective on creativity, enjoyment, and life. As a CMIO, my take is: many folks at my work desperately need to read this book. It seems to me that we all have less time, too many emails and too much to do. Sometimes we need to look at opportunities to slow down and sit and listen. 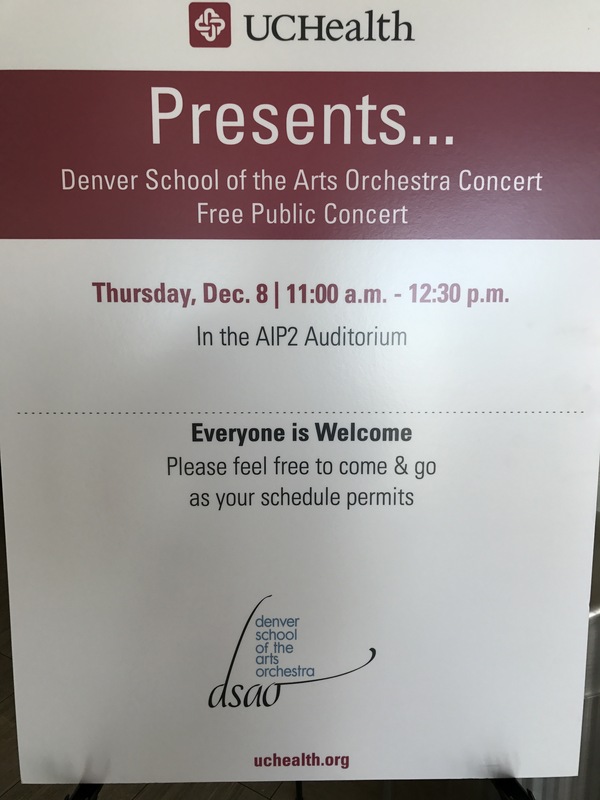 Today, our UCHealth leadership brought in the Denver School of Performing Arts orchestra, right into our hospital auditorium, and I caught a bit of their performance of ‘Bohemian Rhapsody.’ Fun, amazing, and brought a smile to my face. Here’s 30 seconds. Hope you all have a happy and enjoyable holiday season.